If your smile is letting you down because of missing teeth, or you’re very aware that your dentures look like false teeth; they cause you discomfort, or you struggle to eat with them; then we can restore your smile and your confidence by creating attractive natural looking dentures that are comfortable for you. The cost of our dentures varies according to the complexity and time of the treatment involved, the materials used, and the type of dentures you choose. 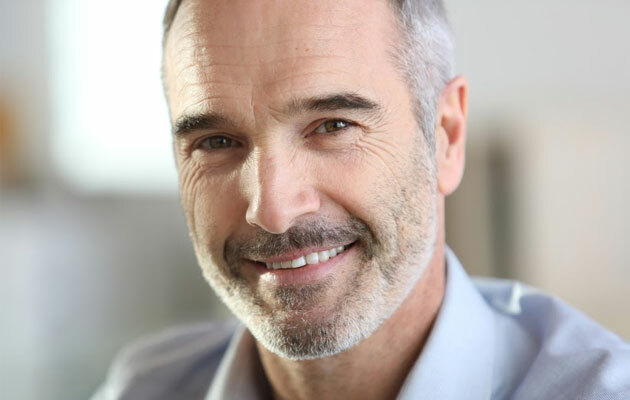 When looking to rejuvenate your smile and broaden the choice of foods in your diet, especially if your dentures are ill fitting, then you might be faced with the choice of choosing between dentures and denture implants. By booking a consultation with Dr. Sonny Oke you can discuss your options and make the best choice depending on your lifestyle and budget. Complete dentures – Often called full dentures these replace all of your natural teeth in the lower or upper jaw. They help to make you look younger by giving your face the support it needs. Partial dentures – These are used to fill in any gaps in either jaw and will be carefully made and blended in with your natural teeth for a seamless look. Often they are fitted to the adjacent teeth with hidden wires. Denture implants – This is a type of denture which is attached to a dental implant and solves the problem of loose and ill fitting dentures. Flexible dentures – These are a great alternative to traditional dentures and can be used in cases where patients have insufficient bone to place a denture implant. They work by flexing into position without the need for metal clips or adhesive to hold them in place and instead use tooth coloured clasps. Immediate dentures – If you need teeth removing but are reluctant to be without teeth for any period of time, then immediate dentures could be the solution for you. This involves being fitted with a natural looking temporary denture on the same day that your teeth are removed, so that you are not without teeth for any period of time. It is worn whilst your gums heal and your permanent dentures are fabricated. Failure to replace missing teeth can mean that your bite is affected, or that adjacent teeth shift to make gaps where food can become trapped, leading to decay or gum disease. In addition your facial muscles can sag, making you look older and affecting your speech. If you want your smile back, dentures could be the answer. Why not give us a call on 01923 817942 to book a consultation appointment to discuss your options. Dr. Sonny Oke looks forward to welcoming you to the clinic.